Get 3 Months of Direct Rent Deposits FREE! ClearNow is the featured supplier for Mr Landlord as they are The Leader in Direct Rent Deposits! With ClearNow, rents are automatically withdrawn from tenant bank accounts and directly deposited into your bank account. As a Mr Landlord reader, your first 3 months are FREE! 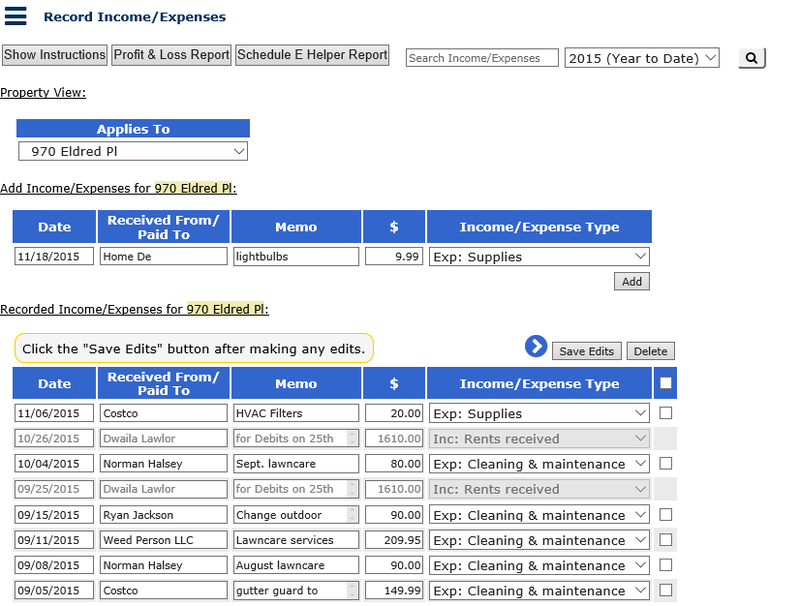 Added BONUS: You can now track income and expenses with ClearNow ... and it's FREE! Some income and expense items are automatically tracked, such as rent payments made via ClearNow and ClearNow's fees, while others can be easily added. Plus you can generate a new report that helps you prepare Schedule E of Form 1040 saving you time and headaches from this tax chore. As a landlord, why should I use ClearNow? Eliminate time spent waiting for checks and driving to the bank to deposit checks. Rent is directly deposited to your bank account with ClearNow whether you are in town or on vacation. Easily track income and expenses - your information is organized and preparing Schedule E becomes a breeze! Why would my tenants want to use ClearNow? Saves tenants time & money – no more postage, envelopes, or checks. Ensures tenants never forget to pay – debits are automatic, so there’s no work for them! Tenants with an email address receive advance notification of the upcoming debit. Aligns debit days with paydays – Collect when tenants get paid – biweekly, semimonthly, or monthly. Biweekly debits may be easier for tenants to budget since they are smaller amounts. Why should I use ClearNow compared to some of the other rent payment services? ClearNow is experienced, innovative, and available. ClearNow has been around a long time - serving landlords, property managers, and tenants since 2000. They have a perfect BBB rating, and they can serve landlords of any size. They enable tenants to build a credit history by reporting payments to Experian, property managers to directly deposit owner proceeds, and landlords to track income and expenses easily and simply. Best of all, customer support is available by telephone or email, so they are ready to help when needed. Are biweekly debits hard to manage? Not with ClearNow! ClearNow will automatically debit tenant bank accounts every other week and communicate the debit (and credit) days for you and your tenants. You simply wait for the rent to be directly deposited to your bank account. Biweekly payments with ClearNow could not be simpler. Plus, collecting biweekly helps getting paid and filling vacancies. Biweekly rent enables you to market your vacancy with a lower rent amount. Tenants may be attracted to a lower rent amount if you list the biweekly amount rather than the monthly amount. Does ClearNow report payments to credit bureaus? ClearNow is a data furnisher to Experian RentBureau and PRBC. Tenants enrolled in ClearNow may report their rent payments made while they are enrolled in ClearNow. Can I track income and expenses with ClearNow? Yes! Some items will be tracked automatically such as rent payments made via ClearNow and ClearNow's service fees, so you don't need to do anything. Other items can be easily added and assigned to a specific property. 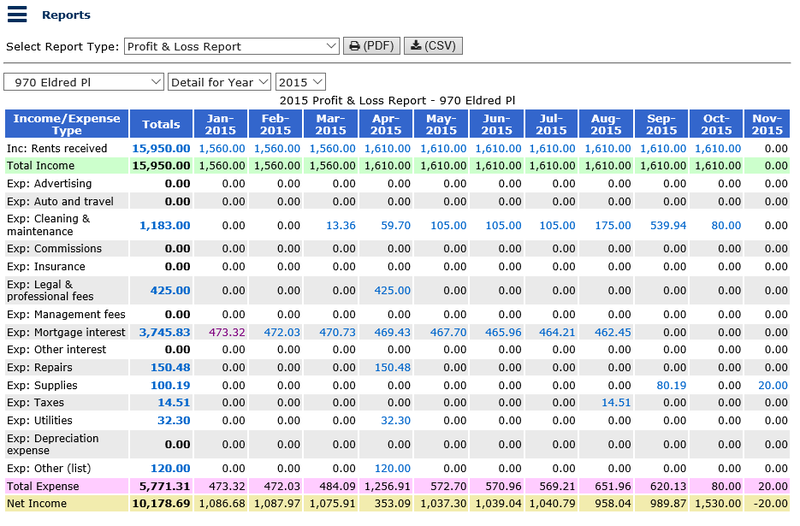 Plus, landlords can view a profit & loss report and the Schedule E helper report to save time, especially at tax time. Can property management companies use ClearNow? Yes! Property managers can collect rent electronically from their tenants, too. Better yet, ClearNow’s owner proceeds feature enables property managers to directly deposit a portion of the rent to the owner’s bank account. Property managers save time and effort in distributing funds to owners while owners enjoy faster receipt of funds. Enrolling in ClearNow is really easy in just 3 simple steps! You complete a one-page authorization form and submit it with your voided check. ClearNow will notify you of tenant enrollments. At that time, you will log into your ClearNow account and indicate rent amounts and lease-end dates. That’s it! 8 days before the debit day: Tenants receive rent reminders (for those with email). Debit Day: Tenant bank accounts are debited. Debit biweekly, semimonthly, or monthly. Credit Day: Three banking days after the debit day, your bank account is credited the amount of rent owed net of ClearNow fees. A payment summary is e-mailed to you. When printed, your form will be recorded as a Mr Landlord reader, so you will receive your first 3 months FREE! Once you are enrolled, you will have access to the authorization form for your tenants. For monthly debits on the 1st, 5th, 15th or 25th: $14.95/month for one debit. Each additional debit is just $2/month. For example, if you have 3 tenants, ClearNow fees would be $18.95/month ($14.95 + 2 tenants * $2). For semimonthly debits on the 3rd and 17th: $4/debit. For example, if you have 3 tenants, ClearNow fees would be $24/month. For biweekly debits on every other Tuesday: $4/debit. For example, if you have 3 tenants, ClearNow fees may be $24/month as there are a few months in the year where there would be three debits in the month. Remember, your first 3 months are FREE! "Setting up and using their service proved to be effortless."